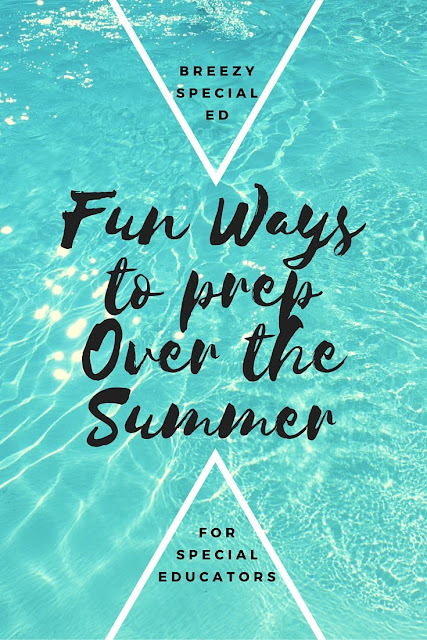 Here are a few of my favorite fun ways to prep during the summer. No paperwork, just fun classroom stuff. Plus, the more you pin, um I mean prepare this summer, the easier your school year will go! Garage Sales: I love finding unique (and cheap) materials to use with my students while shopping yard sales over the summer. Think materials for work boxes, games, books, etc. Some of my best finds were these pill boxes that I made into 3 different work task boxes. I've also stocked my game cabinet for cheap this way. And you can find so many sensory things at garage sales too. 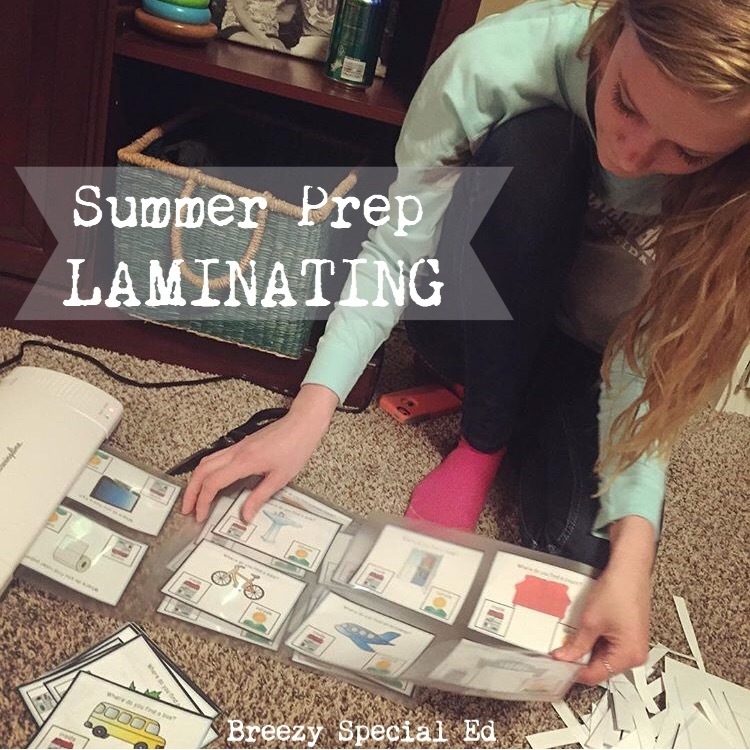 ALL of the laminating: There is something about laminating that makes me so happy. And it's so nice to get stuff laminated without a deadline. Do some laminating while watching movies on summer nights and you'll have tons of fun resources to start the year with! I recommend doing some file folders, task cards, or adapted books. 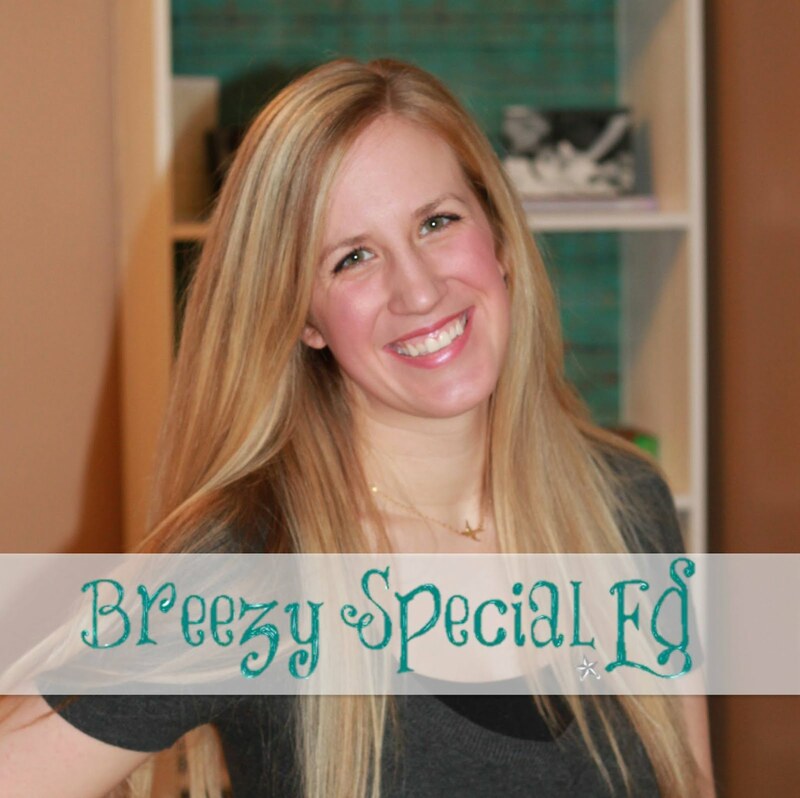 Brainstorm: How do you want your classroom to run next year? How do you want to set it up? I love searching classrooms and ideas on pinterest and reading through blogs to get all sorts of ideas for the year. 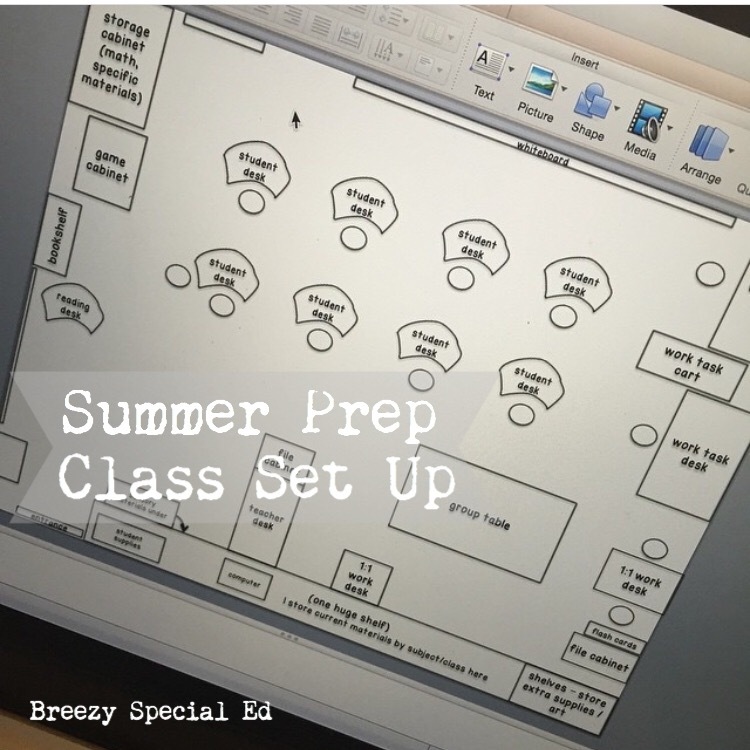 I also like drawing out my classroom layout so when I get into my classroom I can move things around and have a idea of where I think everything should go. Follow me on Pinterest! 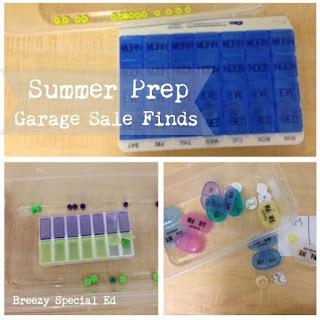 I'll be pinning ideas all summer long! 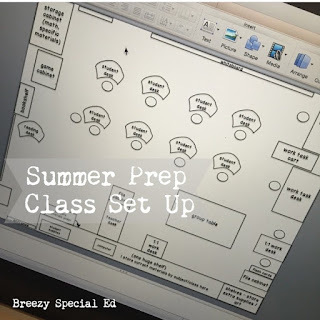 What program do you use for classroom set up?